This is an opportunity to get involved in and contribute your skills to a NEW and exciting gardening project in Catford. Rushey Green Time Bank is involved in the planning and development of Catford Community Garden Project. They will be growing produce, planting and maintaining a community orchard. Our gardening mentors will support someone with mental health difficulties to get involved with various gardening activities. Supporting someone with a mental health difficulty to take part in the gardening project. We are looking for volunteers who are able to work responsibly and confidently with vulnerable people. If you are interested in getting involved, please complete this application form and return it to [email protected] no later than 24th May 2013. 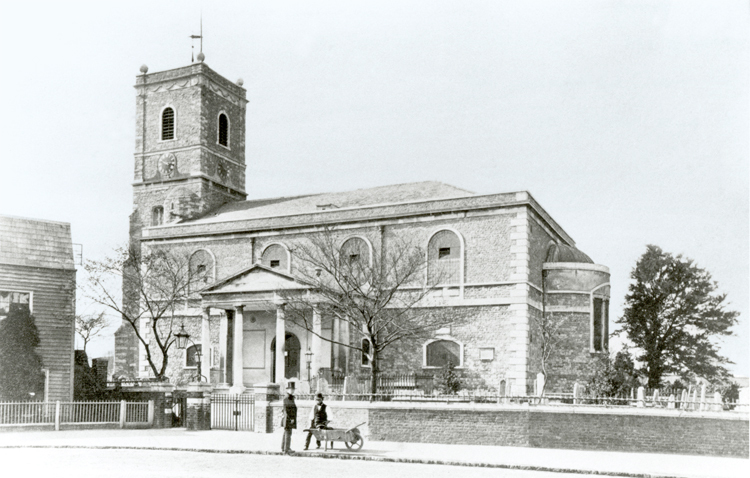 St Mary the Virgin Church on Lewisham High Street (next to University Hopsital Lewisham) is the oldest building in the borough. There has been a church on the site for over a thousand years! There have been several buildings over the centuries and while the tower is medieval, the main building was largely rebuilt after a serious fire in 1830. The Churchyard was closed to new burials in 1856, and contains several historical notables including the Reverend Abraham Colfe in died in 1657. He was a previous Vicar of Lewisham and founded Colfe's School in Lee. 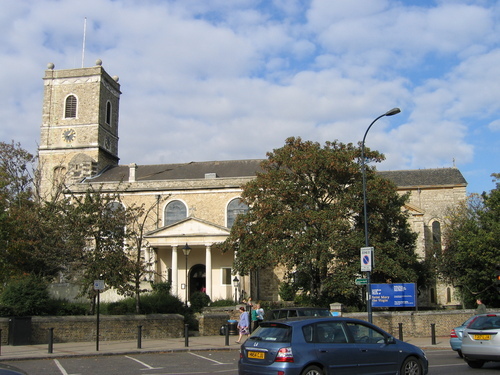 St Mary's has recently received funding from Lewisham Central Assembly to improve access to its churchyard. There will be a new heritage trail, and a series of permanent information panels to guide you around the cemetery. The ancient protected yews will also be on the trail. The Church will also be inproving paths and walkways. The Church abuts the recently improved Ladywerll Fields where you can openly access the River Ravesbourne. Its well worth a visit one summer weekend. The 3RiversCleanUp is a 3-week long intensive annual volunteer campaign to improve South East London’s rivers. Thames21 will help lead a series of volunteer events from June 2 to June 23 in collaboration with a number of key organisations. These hands-on volunteering opportunities will take place throughout the Ravensbourne river system; the rivers Ravensbourne, Pool and Quaggy which flow though the South East London boroughs of Lewisham, Greenwich and Bromley. If there is heavy rain an event may be cancelled at short notice due to the risk of flash flooding. Please check with the event organiser if the weather is bad. There are also river walks planned as well as river dipping. You can see pictures from previous years’ events here. Please, please, contact the organistaions and book these events in advance, dont just turn up with a spade! Otherwise we'll get a jobsworth email wrongly accusing us of encouraging rag tag armies of garderners wielding secateurs and packets of dodgy seeds! COMMUNITY FIRST FUNDING: Lewisham Central Ward area has been awarded £39,810 Community First funding over the next 3 years. If you are a not-for-profit organisation and would like to apply for funding for projects to improve our area, please see full details, including the criteria, guidelines and an application form, on HGCA's website/Community First. Deadline for applications 5th June 2012, to the Lewisham Central Community First Panel. Lewisham Healthy Walks- more walk leaders needed. We have small grants of up to £300 to help growing projects take forward special projects at your growing space. You are only eligible to apply if you have NOT received funding from us before and your space will need to be registered with Capital Growth in order to apply for this funding (if it’s not already). • items to help you increase the amount of food grown at your site. • items to help you grow food to sell or sell surplus. • items or activities to help you increase the amount of volunteers involved at your site (we will not fund promotional materials). Your application needs to be completed and submitted by Monday, 12th March at midday.